1 Bdrm Basement Flat (right). V/bule. Hall. Lounge/Dining rm. Dining kitch. Bdrm. Bathrm (CT band - A). Garden. Parking. Fixed price £139,500 Entry by arr. Viewing 07974 912438 or contact solicitors. Below Home Report Valuation (EPC band - F). 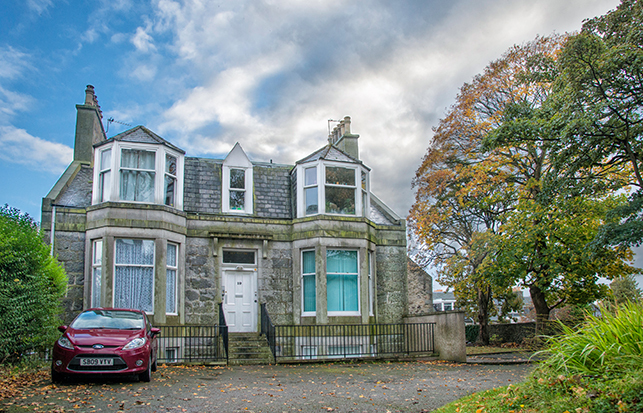 A hidden gem in the heart of the city, this beautifully appointed one bedroomed garden flat exudes charm and character and is truly ready to move into with the minimum of inconvenience. 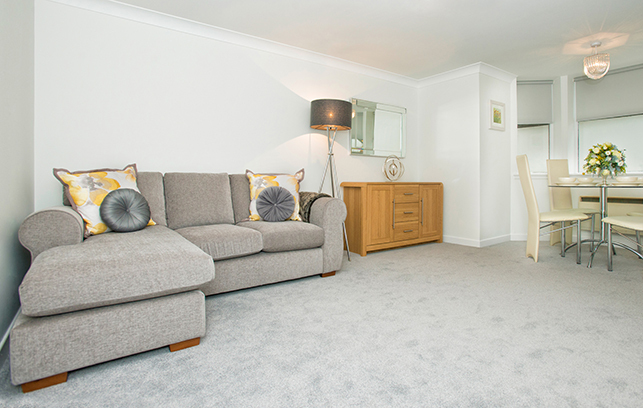 Enjoying a quiet yet very central location close to many amenities, this stylishly presented property enjoys contemporary fresh décor in light grey tones complemented by co-ordinating plush light grey quality carpeting laid in September 2016. Upon entering there is a spacious vestibule with an attractive glazed door through to the hallway which has built-in storage and attractive white doors with chrome handles to the accommodation. 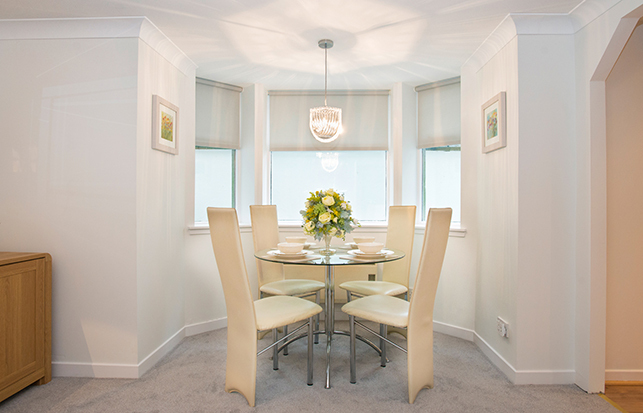 There is a fantastic lounge/dining room with bay window and this in turn gives access to the kitchen which is comprehensively equipped with appliances. 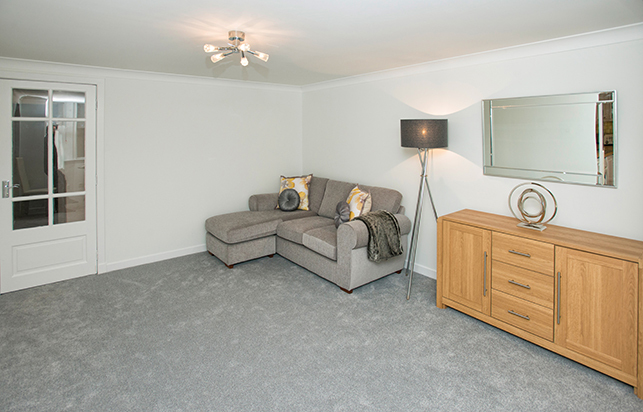 Located to the rear is a most generously proportioned double bedroom with built-in wardrobe and the centrally set bathroom with shower over bath completes the accommodation of this appealing property. 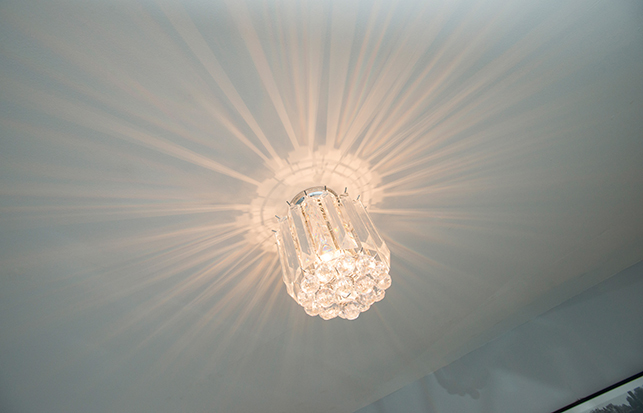 Economical and easy to run the subjects benefit from double glazing and electric heating. 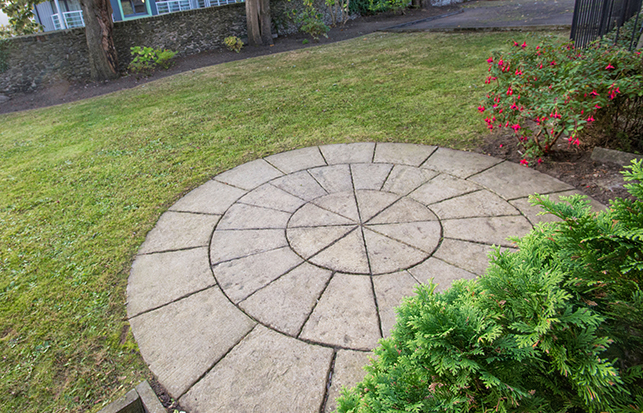 Outside, there is a drying green, and a delightful seating area within mature trees which is shared with only one other property and the private parking is adjacent to the property. 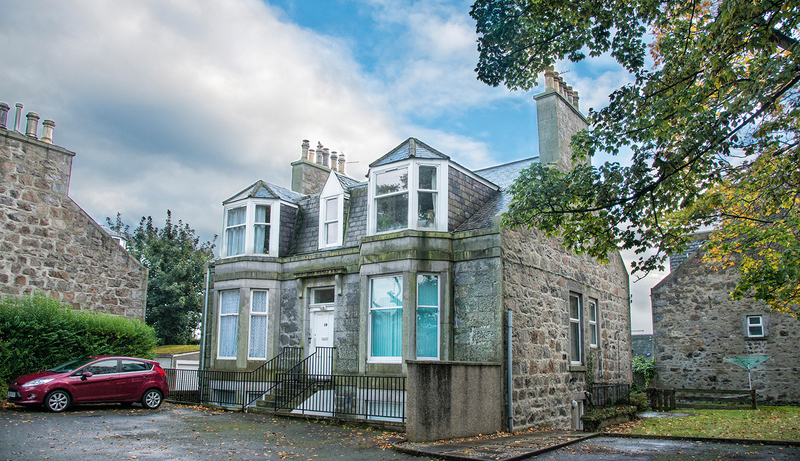 This is a charming and exceptionally well presented property of which internal inspection is genuinely recommended. Dee Place is a small quiet one way street which lies at the bottom of Dee Street in the heart of the city. The property enjoys an extremely tranquil setting within private, extensive and delightful grounds within which lie ample parking spaces and the exclusive parking space is situated adjacent to the property’s entrance. 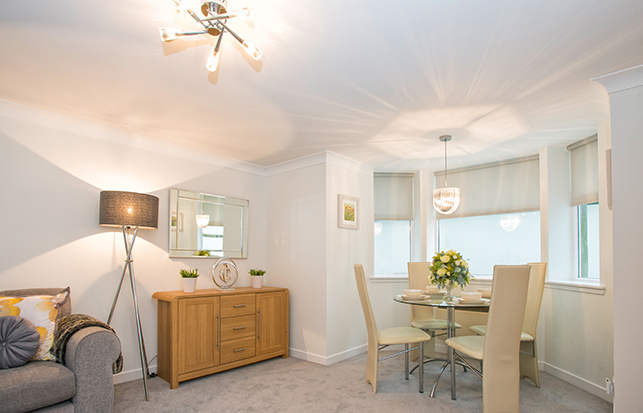 The wealth of amenities the city centre has to offer are on the doorstep including Union Square with its shops, restaurants and cinemas which is only some 5/10 minute walk from the property along with Aberdeen bus and rail stations. Union Street itself including the Music Hall and His Majesty’s Theatre are again only some 5 minutes walk from the property as are the businesses and offices in the area. 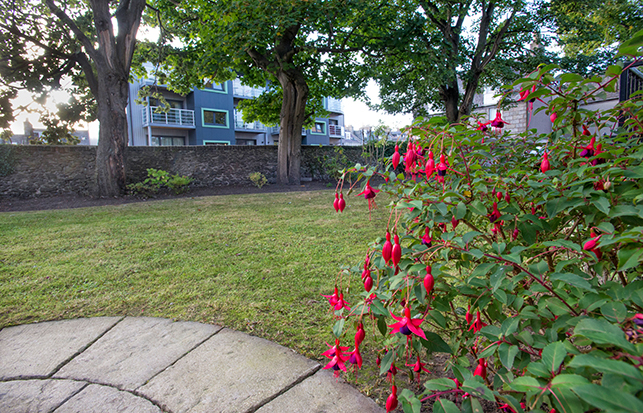 The subjects enjoy easy access to Bon Accord Terrace Gardens with its wide open spaces and also to Anderson Drive Aberdeen’s main arterial route therefore within easy travelling distance are the hospital complex at Foresterhill and Aberdeen Airport along with the business centres to the north and south of the city. Regular public transport to many parts of the city and beyond is readily available. Kitchen 11’7” x 5’9” [3.55m x 1.77m] approx. Thoughtfully planned with an excellent range of white high gloss wall and base units incorporating drawer units, oak style worktops with stylish colourful splashback tiling and inset stainless steel sink with drainer. Comprehensively equipped with appliances there is an integrated electric oven with a ceramic hob above and above this a concealed extractor hood with lighting. 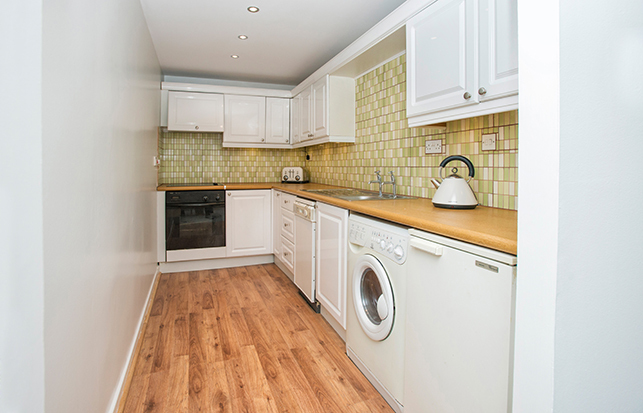 The Zanussi slim line dishwasher, Indesit automatic washer/dryer and fridge will remain. 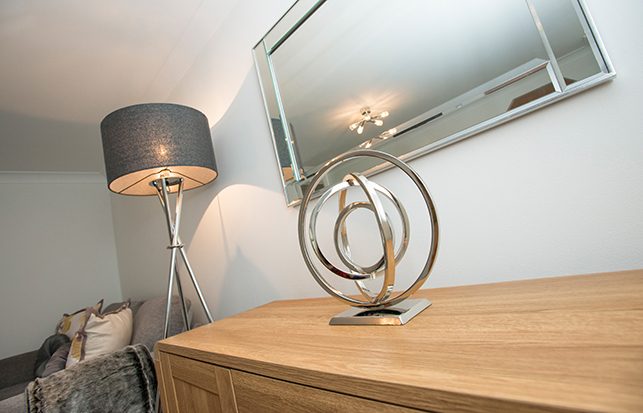 The room enjoys ceiling downlighters, tasteful décor and oak style laminate flooring. There is space for a small breakfasting table and chairs as required. Bedroom 12’8” x 11’8” [3.88m x 3.56m] approx. Generously proportioned, this sumptuous master bedroom enjoys a comfortable atmosphere and has a deep silled window to the rear drawing in natural light. 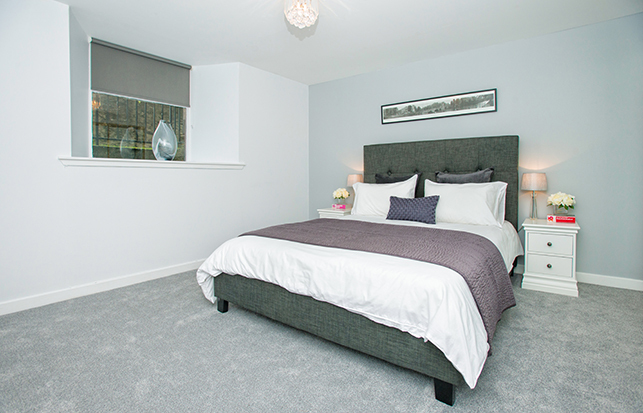 With contemporary grey décor and plush quality co-ordinating grey carpeting, there is ample space for free standing bedroom furniture throughout the room and a contemporary central glass light fitting. 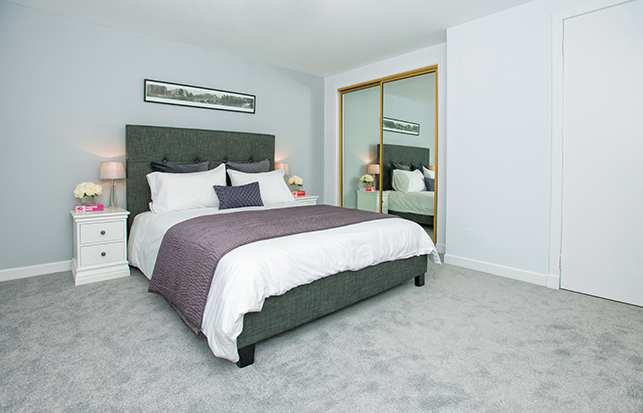 Excellent floor to ceiling storage is provided by the large, deep built-in wardrobe with mirrored sliding doors. Bathroom 6’8” x 5’6” [2.05m x 1.68m] approx. 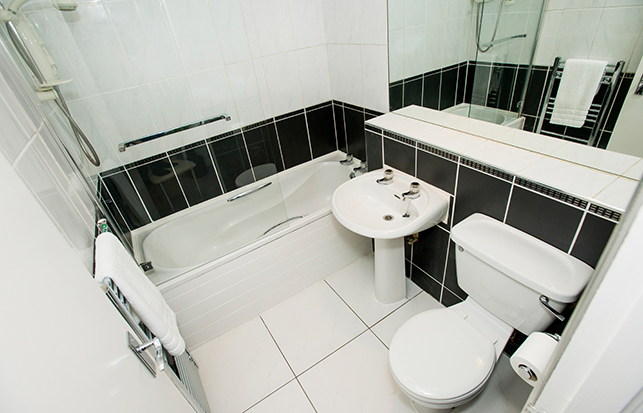 Centrally set and fitted with a white suite comprising of a bath, pedestal wash hand basin and w.c. There is an electric shower over the bath with a glazed shower screen and extensive tiling to the shower area which continues to all walls and co-ordinates with the ceramic floor tiles. 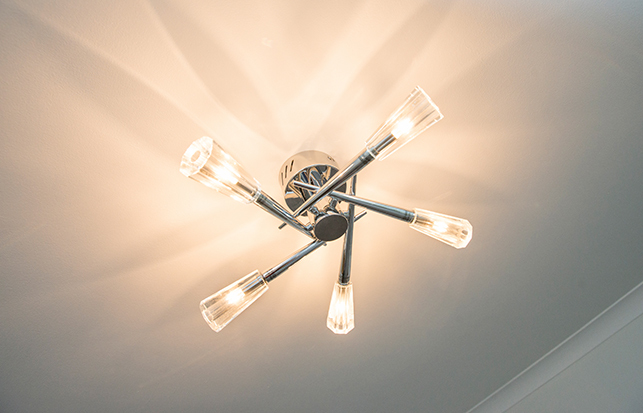 There is a deep tiled sill above which has a large mirror adding depth and light to the room which has ceiling downlighters and an air extractor. There is a chrome heated towel rail and the chrome fittings will remain. 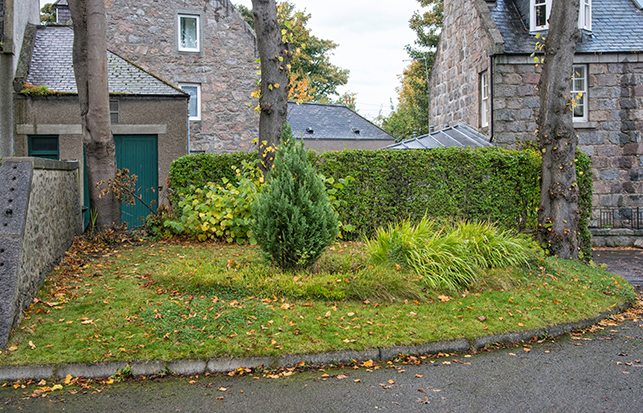 Outside Entered from a private road tucked away in a very quiet corner of Dee Place, the subjects form part of a traditional granite building set within mature garden grounds and with a tarred drive and private parking area with ample visitors’ parking. The subjects are entered at the gable end and an area of grass sheltered by mature trees is shared with only one other property. 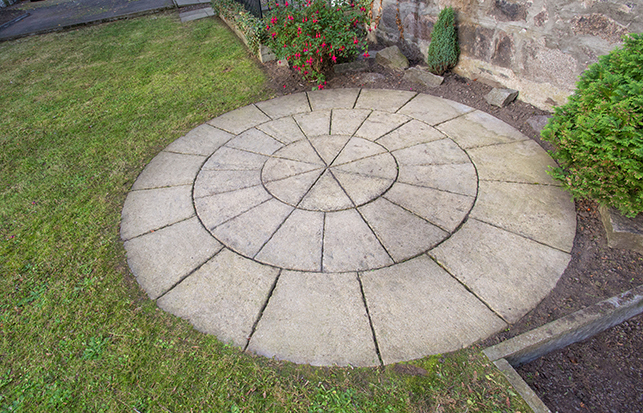 Within this is a flag stone circular seating area for dining al fresco and there is a drying area. Notes Double glazing. Electric heating. EPC=F. All fitted floor coverings, light fittings, integrated and free standing kitchen appliances are included in the sale. 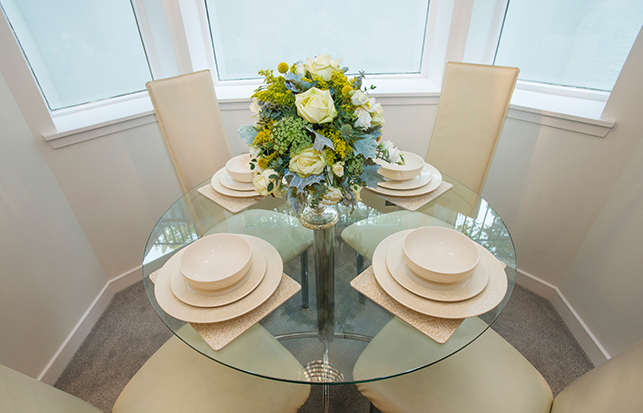 All large items of furniture can be made available by separate negotiation. The date of entry is material and offers subejct to survey, subject to finance or subject to the sale of the purchaser's own property will not be considered.